2012 Fellows Session – Can we regrow a human arm? This was a 3 hour long coordinated program of selected talks with audience participation. Six Fellows of Biomaterials Science and Engineering presented scientific arguments for or against the idea that it will be possible to regrow a complete human arm within the next 20 years. The audience was asked to express their opinion on this question as part of the program. Going out on a limb about regrowing an arm. Can we (or should we) grow a human limb in the next 20 years? Regeneration of the bone/muscle interface and the neurovascular bundle as the first step toward restoring function after limb loss. Can we regrow a human arm? A negative perspective from an upper-limb surgeon. Promising perspectives towards regrowing a human arm. Why we cannot grow a human arm. 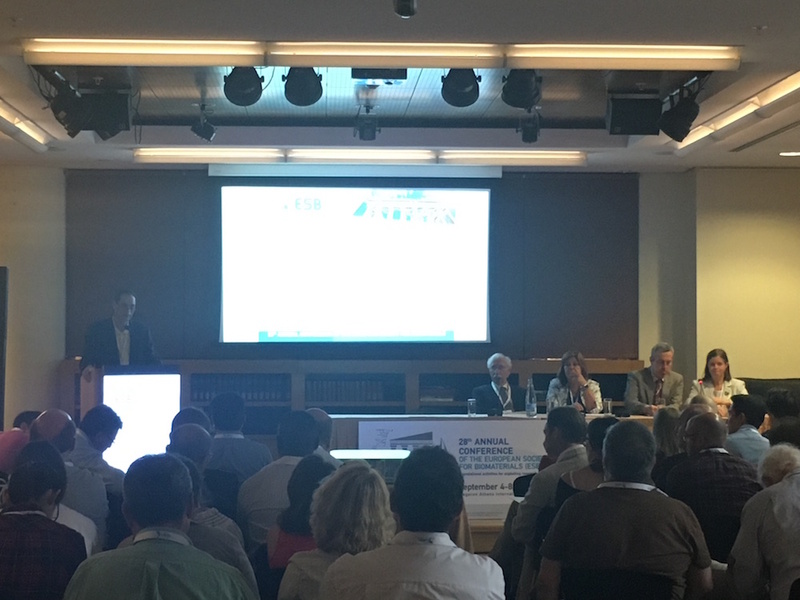 Fellows Session at ESB 2017 – A Great Success!